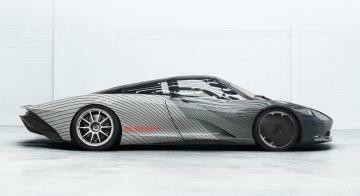 The first hybrid powertrain prototype of McLaren Automotive’s breathtaking new Últimate Series flagship, the McLaren Speedtail, officially embarks this week on a year-long test regime that will underpin the development of the first McLaren Hyper-GT. 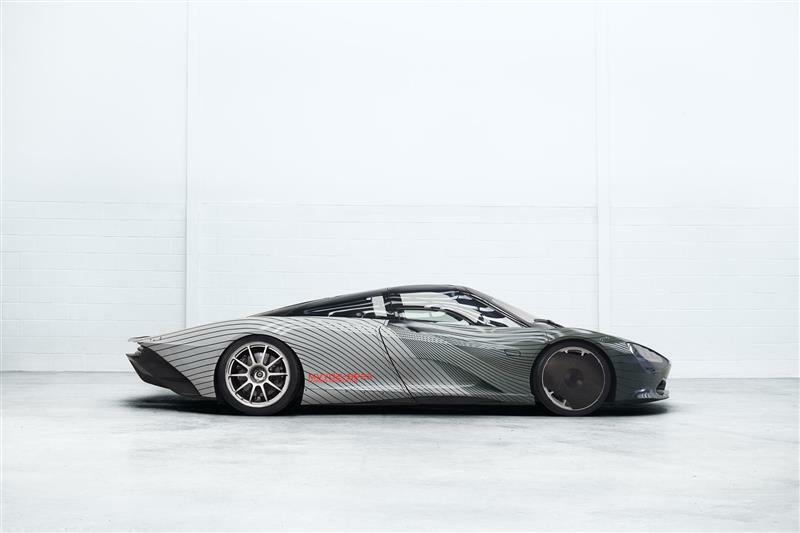 The punishing test program in the run-up to production commencing at the end of 2019 will see Speedtail prototypes running in Europe, North America and Africa, initially at bespoke automotive test facilities but later amongst traffic on ‘normal’ roads. Deployment of the first Speedtail attribute prototype marks an exciting new stage in the development of the fastest, most aerodynamic and most luxurious McLaren ever made. The prototype is officially designated MVY02* but echoing the naming of development test mules of its legendary forebear, the 1992 McLaren F1, has been christened, ‘Albert’. This is a respectful reflection not only on the name of the McLaren F1 mule ‘Albert’ but also the Albert Drive premises in which the F1 was designed. Distinguished by a unique testing livery, ‘Albert’ has a production-specification chassis and petrol-electric hybrid drivetrain, as well as the unique three-seat cockpit with central driving position. As the development and validation program progresses every aspect of the Speedtail’s performance will be honed as the full 1,035bhp available to Speedtail drivers to propel the prototype to 250mph is used – including in high-speed trials with McLaren Automotive Chief Test Driver and former IndyCar champion Kenny Brack at the wheel. The central driving position and three-seat layout of the Speedtail was pioneered by the iconic McLaren F1 in 1992. This configuration is uniquely McLaren, remaining exclusive among production cars until McLaren Automotive confirmed in November 2016 that it would be reprised for the next Últimate Series model, then codenamed BP23. The center-seat layout of the Speedtail was first publicly demonstrated in a ‘proof of concept’ model that was simply a McLaren 720S reconfigured with a single, centrally-mounted driving seat. Four further mules followed and these will continue to be used around the world for performance and durability testing, alongside the prototype vehicles.